Original web design and highly-customized development: crafted by Pixelsplasher. 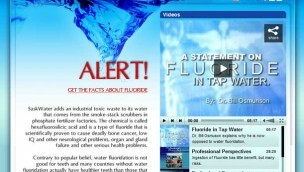 Petition and information website against the fluoridation of water particularly in Saskatchewan, Canada. Information website about Nikola Tesla and activities of the Tesla Science Foundation in Philadelphia, Pennsylvania, USA. Wedding website of Wendell Auman and Ivy Doncillo.